Been doing deployment testing once again. Root cause: DNS entry of my DP was not updated. 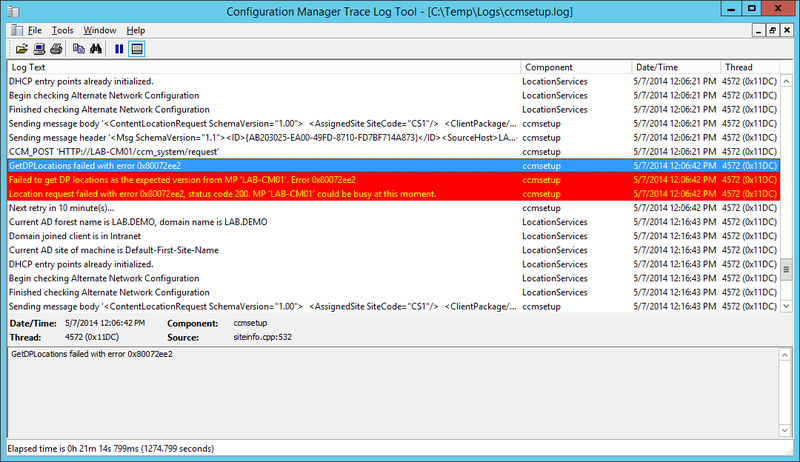 I rebuilt my SCCM 2012 R2 but changed my IP Address. Solution: Update DNS entry of DP and run the task sequence.